As a native of Houston, TX, I spent many days in Galveston, TX. A relaxing day on the beach was only 45-minutes away (my friends and I once made it in 15 minutes, but I’ll save that story for another post). I would go there for a brief respite from my hectic life. In 1999, I heard some news that gave me another reason to visit Galveston. Carnival Cruise Lines announced their decision to offer cruises from the Port of Galveston. People in the region were ecstatic, not only because of the economic impact it would have, but also because we no longer had to travel to Miami, New York, or L.A. to take a cruise. 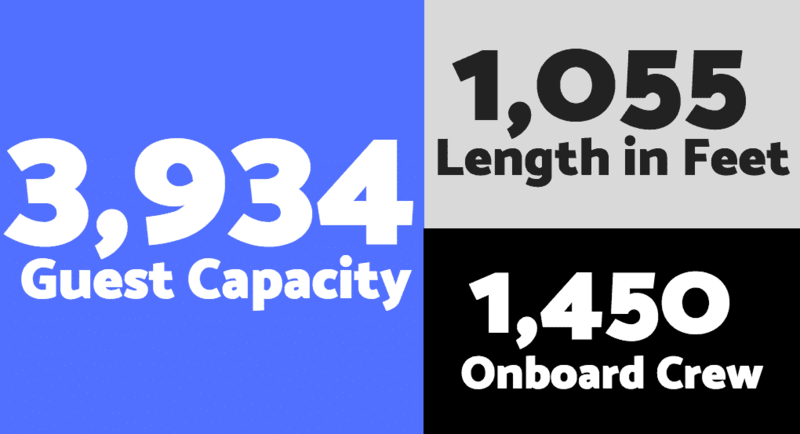 Since September 30, 2000, when Carnival Cruise Lines’ vessel M/S Celebration made her inaugural voyage from Galveston, the cruise giant has continually added more ships and more vacation options. The latest Carnival ship to call Galveston home is the Carnival Vista – the largest ship ever to port on the island. I attended the Homecoming celebration and I was impressed by features like the SkyRide aerial bike ride, an IMAX theater, onboard brewery, two dining venues developed by Food Network star Guy Fieri, an expansive water park, and the Family Harbor accommodations with larger staterooms and lounge area. There is also a casino, shops, bars, nightclubs, and adult-only lounging areas. 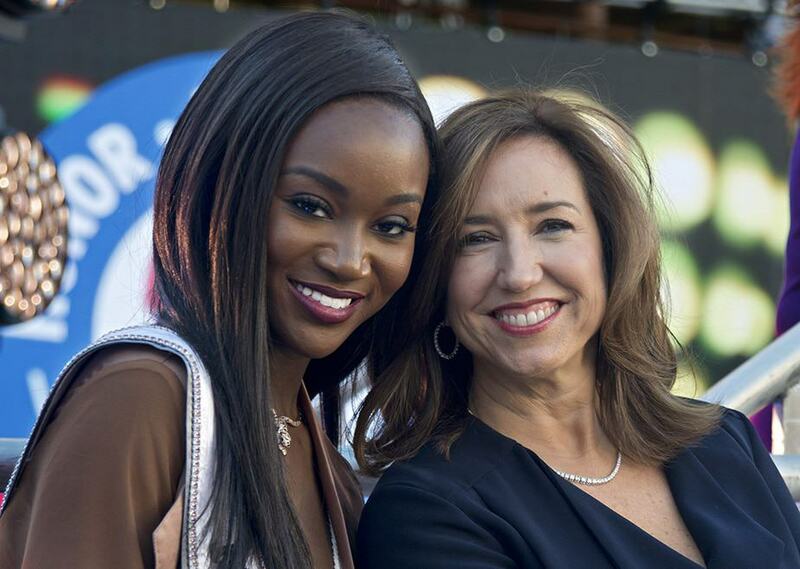 The arrival was celebrated with Carnival Cruise Line President Christine Duffy and ship Godmother Deshauna Barber, the first member of the U.S. military to be named Miss USA. Miss USA, Deshauna Barber, left, and Carnival Cruise Line president Christine Duffy. Photo provided by Carnival Cruise Lines. 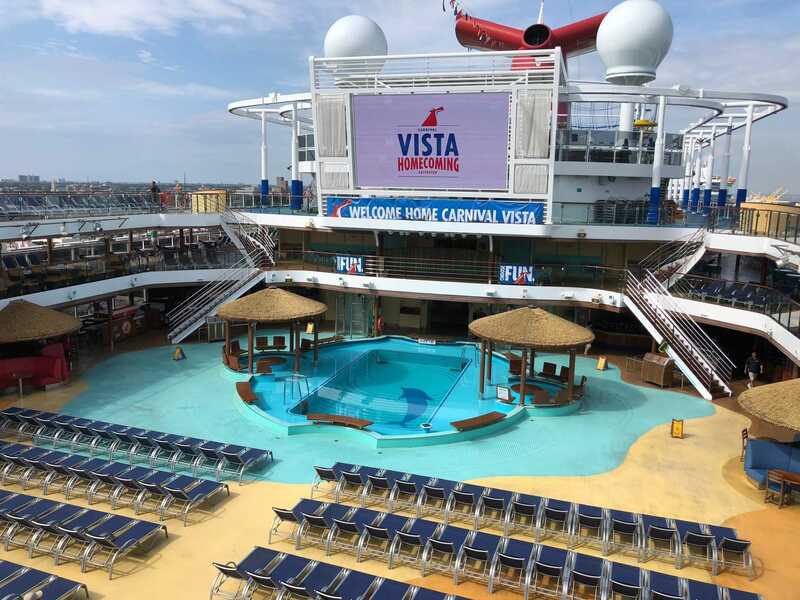 “As godmother, Carnival Vista remains very near and dear to my heart and I’m proud and honored to be a part of the festivities to bring this spectacular ship to its new homeport of Galveston,” said Barber. In support of the local community, Duffy and Barber presented checks for $10,000 to Houston SPCA and the Houston Food Bank on behalf of Carnival. 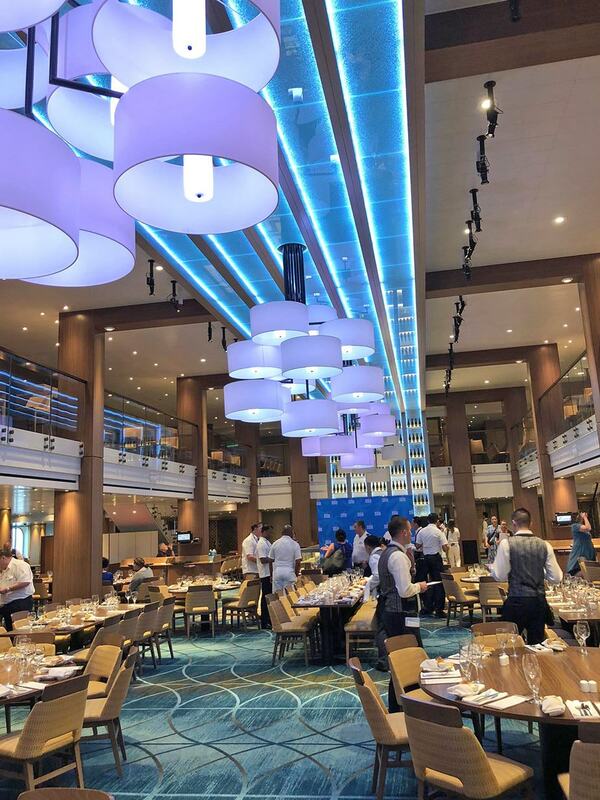 One of the highlights of the day was a three-course meal with wine served in the Carnival Vista’s main dining room. Options included steak, sea bass, and kale polenta. Although my meal was delicious, I have to admit the portions were too small and I was still hungry. I headed to the buffet line on the Lido deck and feasted on paella and roasted turkey. After lunch, I toured the boat and made note of a few amenities I’d like to enjoy if I ever had the chance to cruise on this vessel. 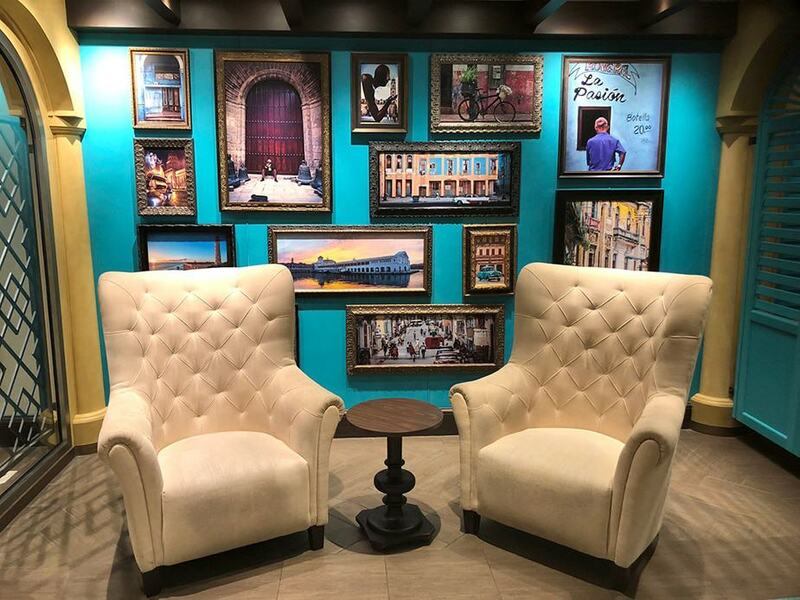 These included RedFrog Pub & Brewery, Havana Bar, Cloud 9 Spa, and a cool art lounge. As I was leaving the Carnival Vista, my friend, who is from Trinidad stopped to chat with the DJ because we were enjoying the Soca music and wondered if he were from Trinidad also. We discovered that he was from St. Vincent. Another DJ was in the booth and let us know he was from Jamaica. “We play Caribbean music all the time because we want to share our culture and let people hear different kinds of music,” said DJ #1. My friend and the DJs chatted about island life while I stood quietly wondering if I should chime in about the merits of being Texan. Just as I was about to start bloviating about barbecue and football, DJ #2 turned the conversation towards Carnival’s commitment to fun. This conversation made me sad that I had to disembark before all of the fun began. 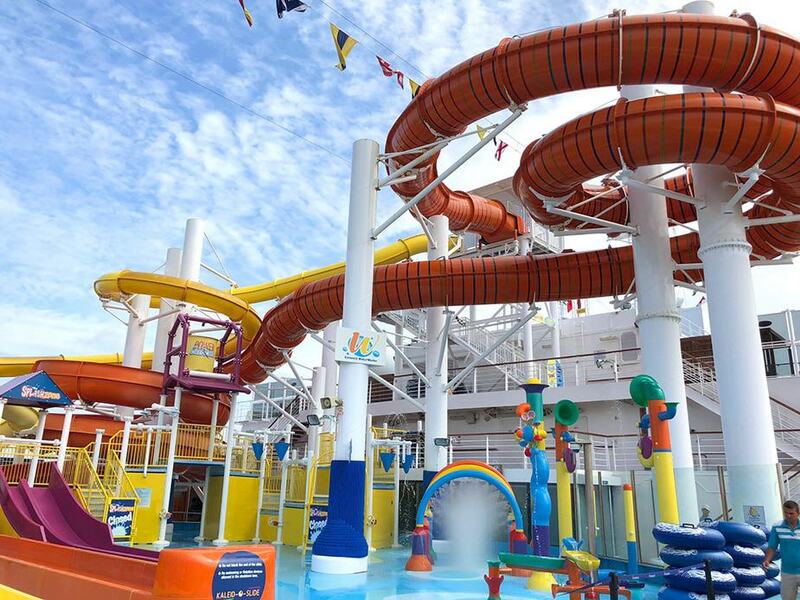 But the next time I’m looking for a cruise vacation, I will definitely #ChooseFun and take a Carnival Cruise. Photos by fjgphoto unless otherwise indicated.